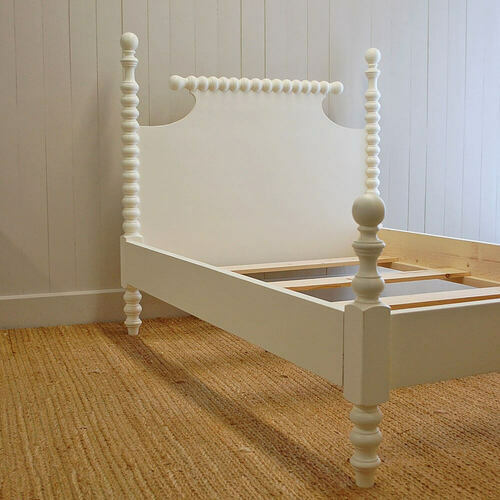 Our Saundra Spindle Bed has four posts, simple lines, and a low spindle foot board. Perfect for the smaller coastal bedroom setting. Handmade from solid wood and hand finished. 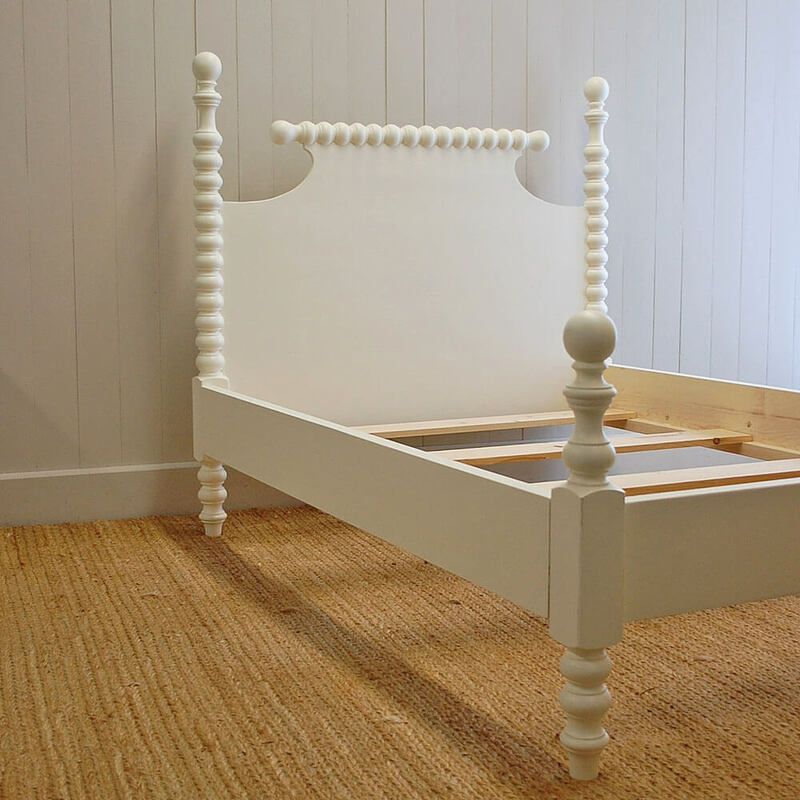 This one shown in French White.